When Should I Charge My iPhone X to Get Better Battery Life? Home iPhone X When Should I Charge My iPhone X to Get Better Battery Life? When Should I Charge My iPhone X to Get Better Battery Life - This iPhone X now in your dayly use. You must charged it to get back the power full day battery life. Better you read this tips and tricks and follow the instructions tutorial to keep in a good contition and performance. If your battery dropped and still warning low battery life you are in trouble. Get the most out here in iphoneusermanual that covered support for all your iPhone. 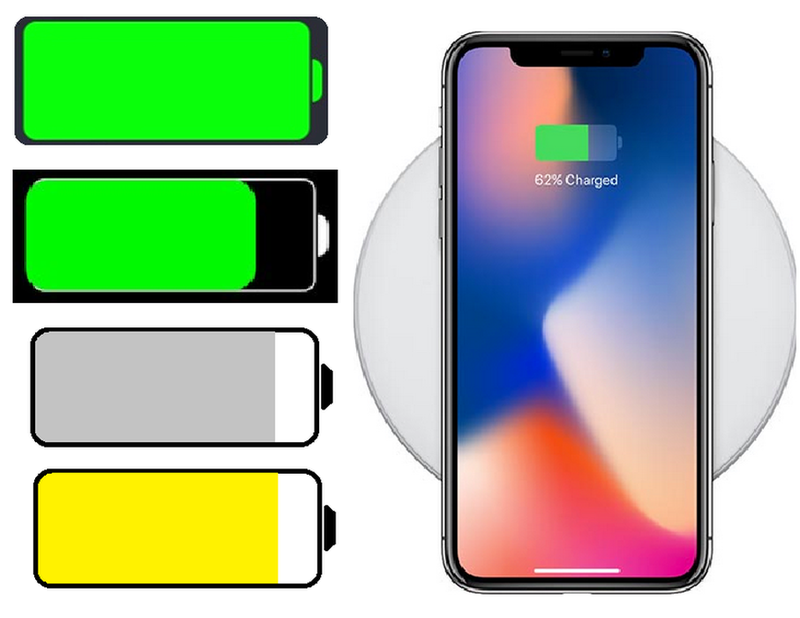 iPhone X battery built-in rechargeable lithium-ion battery power 2716 mAh, support Wireless charging via USB power adapter. This new iPhone maximize charging features into fast-charge mode. Apple's claim of 50 percent fast charge in 30 minutes by use USB-C to Lightning cable, and a power adapter supports the USB-C/ USB-C PD in specification. Is that work for yout? Made by Apple, this phone life lasts up to 2 hours noteble longer than iPhone 7, and if you talk wirelessly it serve up to 21 hours. Only use internet capable to 12 hours, if you play Video Up to 13 hours, and playback musics wirelessly up to 60 hours. Manually go to Settings and tap on Battery, tap Battery Percentage ON. Some usefull think you need to know, for Low Power Mode and you can turn on then one for Battery Percentage, the second one to ON and never guess how much your battery leve has left in it again. If your iPhoneX folded phone won’t to turn on iPhone XS, you might need to charge and turn on monitor the battery. You can get better Battery Life performance by charge it if the low power indicated less than 20%. Use wirelless charger dock by placing iPhone face up on a Qi wireless charger, or use power adapter. How to Monitor Battery Charging? Gray icon: Shows the iPhone battery level or charging status. Yellow icon: Show battery light indicators Low Power Mode is on. How to get better performance? You must re-download only the apps you need. Do not install too many apps on your iPhones that not use. Better do a clean set up, to be honest. Tap into the App Store app and make sure you’re signed into your Apple account (swipe down to the bottom of the Featured tab to see which account you’re signed in as). Peruseh only download apps that you’ve used in the past 3 months. Or, use on a daily basis. If you battery may drain instead of charge if iPhone X connected to a computer, turned off or is in sleep or standby mode.